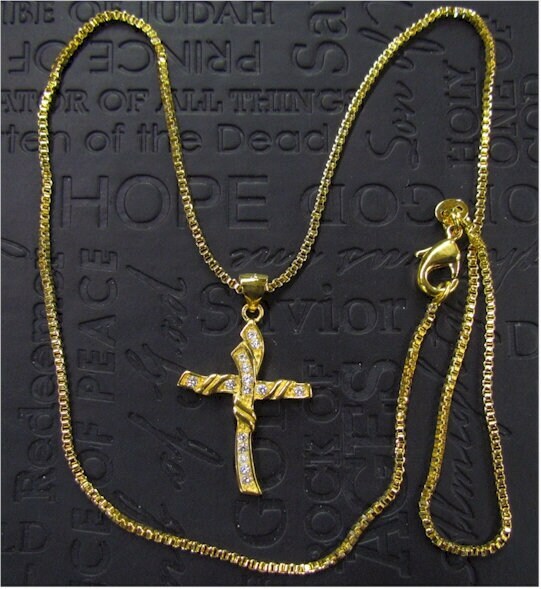 Classic Rhinestone Swirl Design Cross. 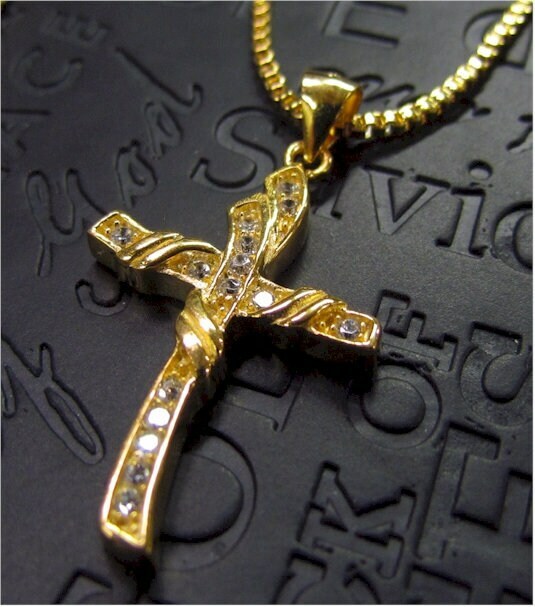 24k Gold plated over a Sterling Silver cross base. Comes with a comfortable 24k Gold plated 1mm x 18” box chain with positive locking lobster clasp.